The running back was having a big season last year before suffering a knee injury. He's back and the Gators are thinking playoffs. Jeremiah Palaita’s passion for football might be unparalleled. Palaita, a senior running back and linebacker, was heartbroken when his first love was taken away from him in the middle of his breakout junior season because of a torn lateral collateral ligament in his right knee. It was early in the second half against rival Jefferson, and Palaita already had 112 yards on 19 carries with two TDs when he suffered the injury, which required surgery. He still wound up 10th on the final NPSL rushing list with 618 yards and 10 touchdowns in six games, earning second-team honors in the All-Olympic Division voting. Palaita is primed to pick up where he left off with offers from Air Force and New Mexico on the table. And after bulking up a bit to 6 foot 1, 225 pounds, he expects to run with more power. 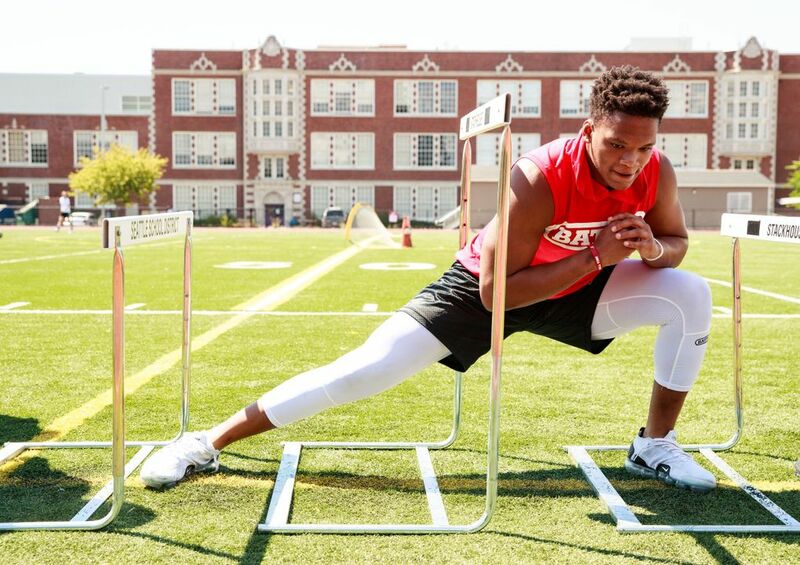 “I’ll be able to bang more with a lot of teams and be more physical,” he said. But Palaita also knows when to pick his holes and be more of a finesse runner. 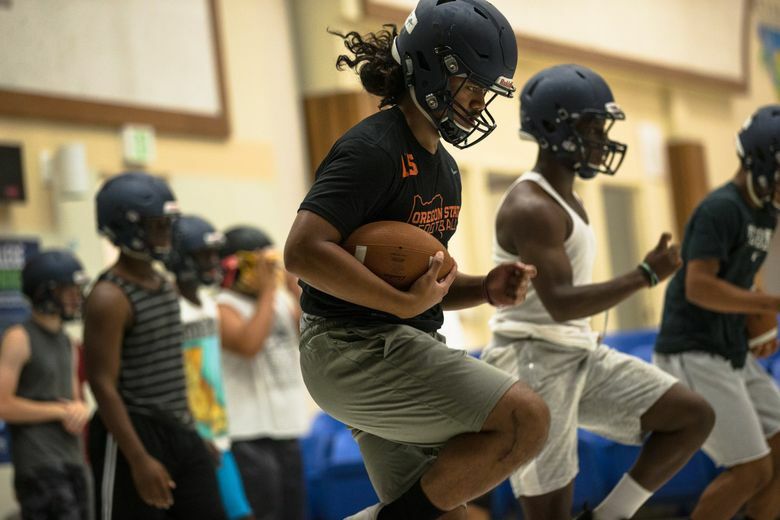 “His vision is probably the best thing about him as a running back, and he’s got really good speed for his size,” said Matt Vaeena, who is in his first year as coach after serving as a volunteer assistant last season. Math is Palaita’s favorite subject, and he hopes to become an engineer with plans to build planes. He’s also active in his church and working with media and sound. Defense was his forte as a sophomore, when he returned two fumbles for touchdowns covering 75 and 67 yards, flashing that early speed. He doesn’t care which side of the ball he plays on. He is stepping into a leadership role as a captain this year, too, and leads by example. Both believe things are looking up this year for Decatur, which has not enjoyed a winning season since 2003. With the NPSL’s new three-tiered alignment, the Gators could contend for the Sound Division title. “That’s the goal, win the division and make the playoffs,” Palaita said. Mount Rainier: After a breakout campaign in 2016, the Rams fell off a bit last fall but are seasoned in the right spots and considered by some to be the favorite in this wide-open division. Kentridge: Depth is a concern, but the Chargers have enough talent with their first group to make a bid for the division championship, which would be their first since 2002. Decatur: The Gators are geared to make strides under new coach Matt Vaeena and hope to continue the progress they showed last season, when they won all three nonleague games. Despite breaking six school records last season, Woods might be the most under-hyped quarterback in the area, according to Coach Brett Ogata. Areta, who earned all-league, second-team honors on offense playing for a 0-9 team, is a handful at 6 foot 4, 320 pounds and will anchor an experienced, much-improved line. Willard is a difference-maker for the Rams and jumped on the radar as a sophomore with 50 catches for more than 600 yards. Loves to compete. A quiet leader whose presence makes an impact, Davis is a shifty runner with good speed. Should turn heads after strong spring and summer. May has a high football IQ and is making a quick transition from wide receiver this season to amply fill the need at quarterback.